Paulien Lethen is an intrepid Dutch artist with a gypsy spirit and a visionary eye. She has journeyed to many different places and explored many different landscapes, most recently Newburgh, N.Y. in the Hudson Valley. This May (2018) she opened her third gallery, Holland Tunnel Newburgh, an extension of her galleries in Williamsburg and on an island in Greece, Paros. The opening (the gallery is on the ground floor of 46 Chambers St between Liberty and Grand St) featured an exhibition of local and international artists, many of whom are friends of Paulien’s. The opening also offered live jazz by Dutch pianist/vocalist Heleen Schuttevaer, Lethen’s talented sister and sometime partner. She was accompanied by other musicians, including some local players. In the late 1980’s, Paulien’s journey took her to another urban outpost: Williamsburg, Brooklyn. At the time Williamsburg was a cityscape on the outskirts of New York City, desirable to artists and creators for its proximity to Manhattan as well as its affordability. Her time there changed the nature of Paulien’s life from active artist to artist/gallery owner/community change agent. It all started when she participated in an open studio tour in 1987. She made an impromptu decision to use a backyard garden shed from the local Home Depot (it was originally intended to nurture her geraniums) as a temporary popup exhibition space for the open studio tour she had decided to participate in. Her decision was, as they say, a stroke of genius. Paulien’s clever little shed featured the work of area artists as well as European art friends. She also welcomed her neighbors into the world of art, and from this one-day event a community of friends, neighbors, and artists ensued. That space so charmed visitors that Paulien was encouraged to keep presenting artwork in her backyard, and so she did. Not long after she and her little space was featured in The New York Times and became a fixture in the neighborhood. She dubbed her garden shed “Holland Tunnel Gallery.” The local hotspot became a conduit back to the European art scene she had left as well as a connection to the local scene. The tiny exhibit space continued to receive notoriety in the art world just as Williamsburg in 1998 was gaining cachet as an urban environment nurturing a nascent art world. 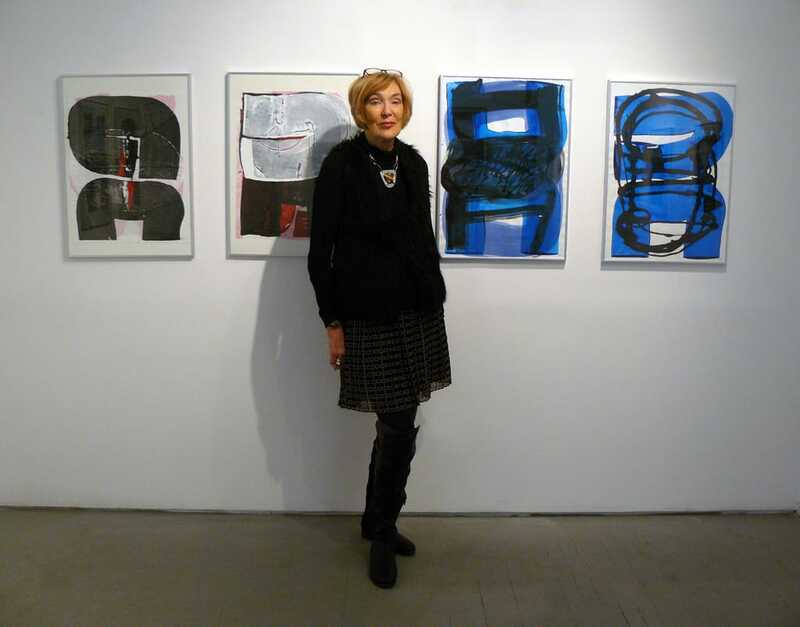 Paulien Lethen first arrived stateside to New York City in 1982 after the breakup of her marriage to a fellow artist. She arrived to a Lower Manhattan no longer the affordable frontier of the late 1970’s. In the 1970’s, Son of Sam was terrorizing New York City, murder rates were sky high, and the city was on the verge of banktruptcy. Amazing spaces could be had in the bowels of Manhattan for pennies on the dollar while an alternative arts scene on New York’s Upper West Side, SOHO, and the Lower East Side was raging: Disco was exploding at Studio 54, Hip Hop arrived from the Bronx, and Punk reigned at CBGB’s. Galleries popped up in affordable SOHO and eventually the East Village. In each case a neighborhood transformation occurred because of cheaply available real estate especially commercial space, and attractive shops and restaurants followed. 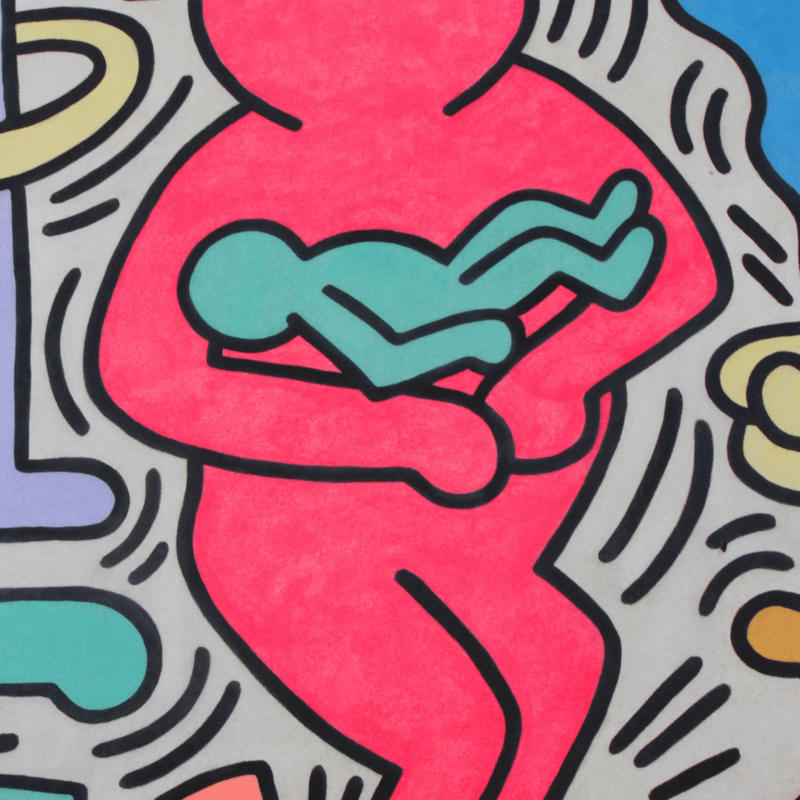 By 1982 Keith Haring had painted an iconic mural at the intersection of Bowery and Houston Street inserting a visual point of demarcation above and below Houston Street indicating where “downtown” now began. Although it was only up for a brief time, the point was taken: this and not below 14th Street is where the edgiest art scene lived, even if its days were about to wane. A real estate boom commenced and the artists who had discovered neighborhoods on a hunt for cheap studio space and appreciative of the architectural promise of neglected buildings were forced to move on. Which is exactly where Paulien found herself in 1987. She needed an affordable place. She left Manhattan and headed to known crack addict haven, Williamsburg, Brooklyn, joining the ranks of other artists carving out the area’s artistic soul, near the Williamsburg Bridge and the East River. She purchased an affordable brownstone and made a home for herself and two young sons. The neighborhood was where innovators such as Richard TImerio (Sideshow) and Yuko Nii (The WAH Center) had already dug in. They had opened galleries to showcase their own art as well as that of others. Williamsburg began an ascent through the nineties and the two thousands to become the cultural scene it is known as today. It also became a place financially out of reach to many. 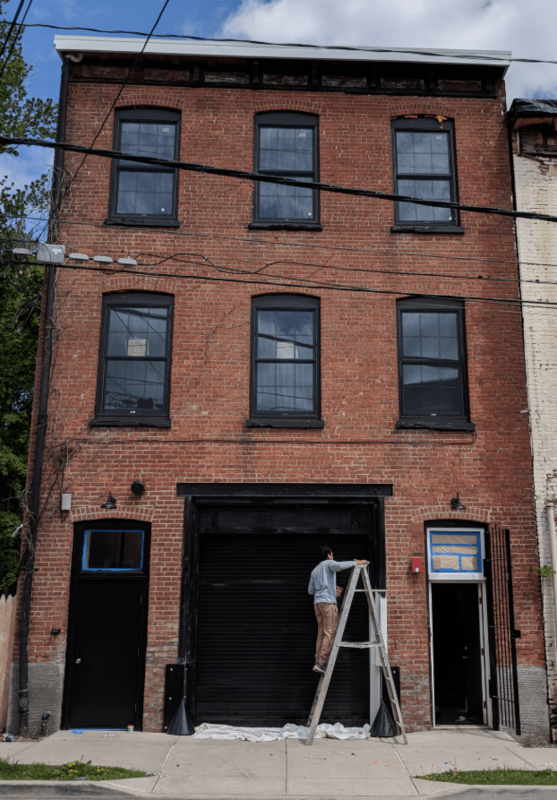 Just as Williamsburg was affordable to struggling artists, creatives and makers then, Newburgh, N.Y. is gaining a reputation in the art world and the real estate world as a place where artists can find affordable real estate now. Not only do they have proximity to New York, they have proximity to the natural beauty of The Hudson Valley, the Catskills, and the Adirondacks. Early on Paulien was one of those looking to put down roots in this Hudson River city, sixty miles north of Manhattan. After buying a home in Newburgh several years ago, Paulien decided to do as she had done in Williamsburg, by opening Holland Tunnel Gallery. The space is already drawing attention locally and in the larger art world. This owes much to her reputation as an artist of note as it does hosting talented local, Brooklyn, and European artists in her galleries. We spoke with her, just after her gallery opening earlier this summer (2018) and before she headed to Greece, to Holland Tunnel Paros her summer home. I grew up in Utrecht in the center of Holland and I always felt it was a little bit uptight, after the war and even in the ‘sixties. I did go to art school to do something more interesting to me, I wanted to go to Amsterdam but my parents wanted me to go to Arnhem’s Academy of Arts. They thought Arnhem was a quieter city and, safer, therefore. I went to Arnehem for two years to the Academy of Arts, and then I felt sort of an urge to get out of Holland. I felt it was sort of uptight and strict and dull there in some ways. All kinds of things happened. I had met a man, an American artist, many years before and he showed up in my life, again. And so I decided to do what I wanted to do, leave Holland and so I went to Greece with him. We lived on this small Greek Island, it was very primitive, there was no electricity no running water. Because of this spare life, I really learned a lot there. The Greeks were incredibly hospitable and nice to us. They were very curious. They wanted to know everything. They wanted to see how we were living under our new circumstances, with oil lamps and no running water. Paros is an island that in ancient times provided most of the marble for the Parthenon. In the winter, the colors were very stark. The water, the moving winds, all the colors influenced me. I learned a lot. I absorbed a lot. I still go there every year! I learned in Japan, an aesthetic. I learned this in a funny way. We were staying at a temple and we slept on a futon. I’m from Holland and we always love flowers. Well, I would go out for the day and one time I came home and I put flowers in a vase. I just dropped them in the vase to spread out. I came home later that day and the maid had put the flowers to one side. I thought that was funny, and I put them back in the center. The next day I came home, and it was the same thing! The flowers were again to the one side. This continued. And then I just got it. What I learned in Japan is, in Western art the action is always just in the middle of the painting. If there is a horse, a man, a sword, it’s always in the center. We’ve trained ourselves on the center, everything is in the center. In Japan their focus is on a whole empty sort of screen and then just at the edge there is something that goes actually off the screen, action that goes off outside and that was what was so really fascinating! That to the Japanese the empty space was also very important. At that time in Japan it was very perfectionistic, with a lot of tradition. When I was there it was still very set in a certain way. Sometimes I called it a culture of suffering because everything was so very set. For instance, the tatami floor dictates the whole design of the house, the furniture is based on the width of the tatami and so forth. It is really intense. I came to New York and was single and had two sons and so what I did, I had to do to support them. I did house painting and really learned a lot because you know when you scrape down all the walls with all the cracks it’s like urban archeology, all these older layers reveal, you know, art deco wall paper, all these layers certainly influenced my painting. I did all sorts of skimming on walls and now in my painting people ask do I do prints? No! I use skimming knives, I skim. It builds layers up. In my work somehow it always has to do with where I am at a given time. I love photography and I love old houses. I love the abandoned houses. I want to start taking some trips in the country. When we have, I have reacted to the beautiful landscape. We take 87 (interstate) and in different seasons I see how beautiful the landscape is. Like, in the winter when it is all grey and when it is snowing, there are these vague sort of shapes and I have thought I should use some of that. Right now (summer) all the different color of greens you look at you see all the different shapes and shades, and yes I think it will come in my painting. Usually it comes out, though it may come out later. Holland Tunnel Newburgh reopens with a show the weekend of 9.29.2018 for Newburgh Open Studios, and the show remains open through October, 2018.